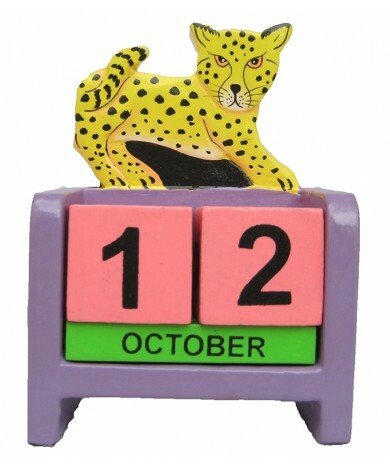 This Leopard Perpetual / Forever Screened Animal Calendar is a fun way to keep track of the days. Each calendar comes with two number blocks and three month blocks for any month and day configuration. 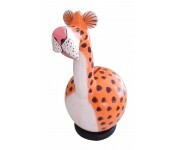 Each Calendar distributed by A Lost Art is approximately 4"L x 1.5"D. It is an endless way to keep track of the day and a great addition to any home or office.